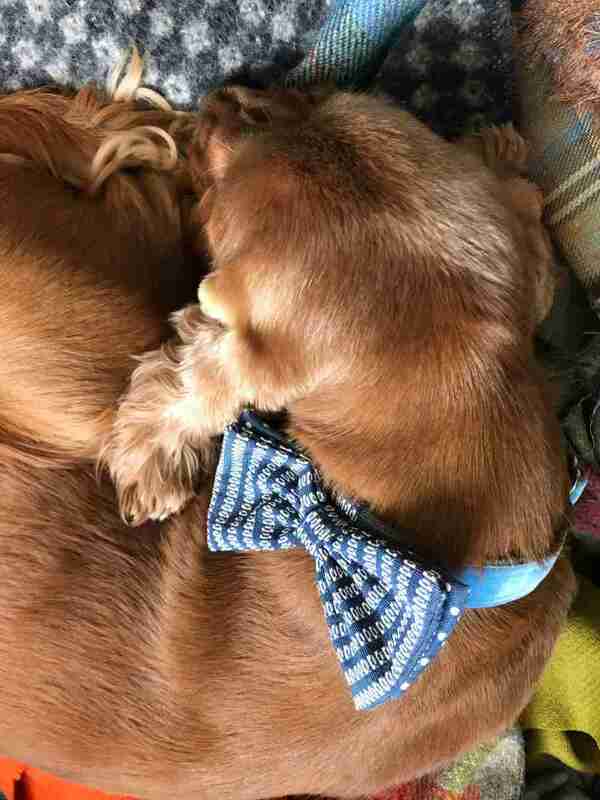 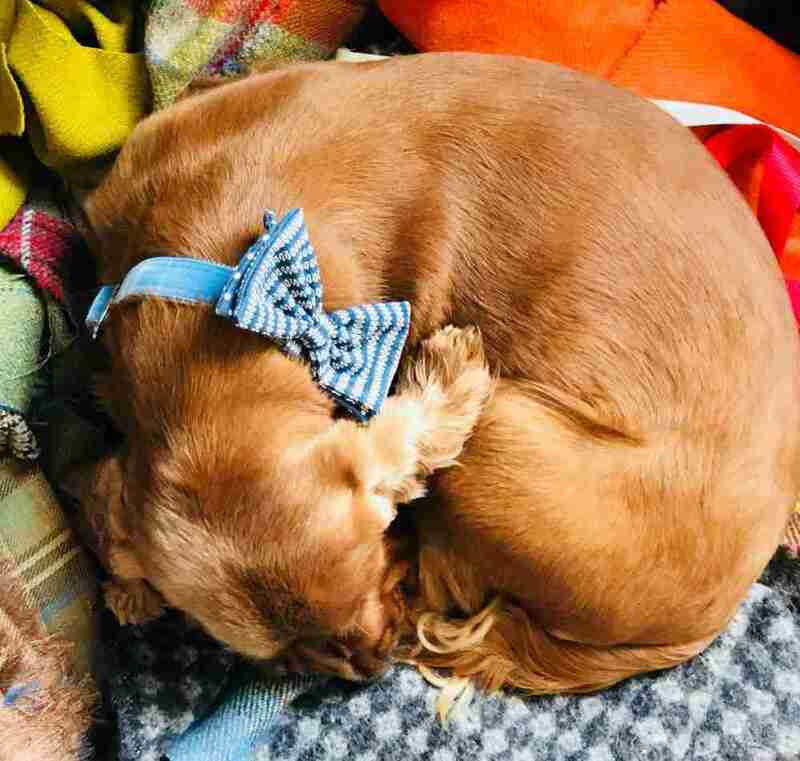 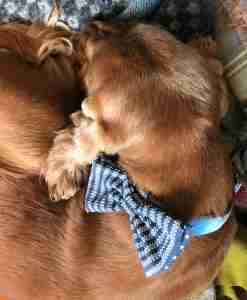 My Scrufts’ Bertie Blue Velvet Bow Tie Dog Collar is a rather special Limited Edition to add to your dog collar collection. 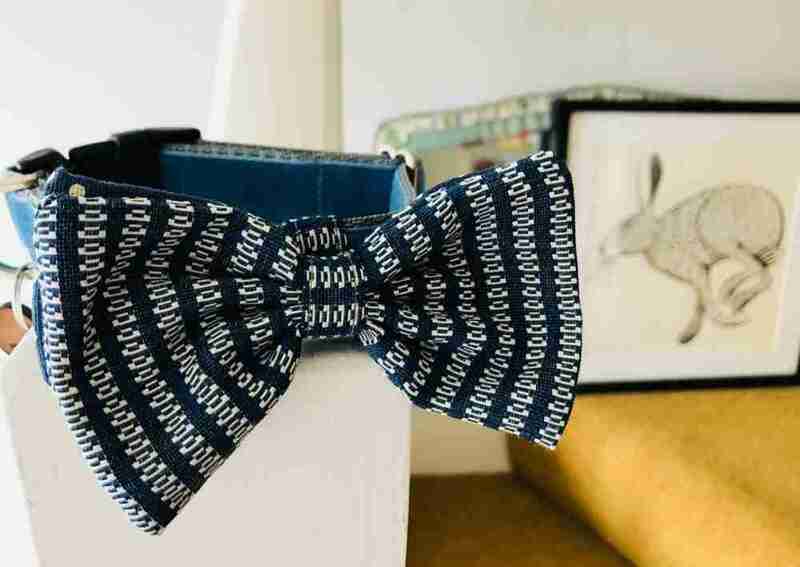 Made using a lush Wedgewood blue velvet, my Bertie Blue Velvet Dog Collar is topped with a double bow tie utilising a denim blue and off white polka dot and a vintage mid century modern linear weave also in a denim blue and stone which I recently found in my regular Saturday morning market in Brighton. 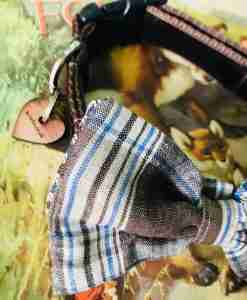 You never know what you’ll find there, but my ‘fabric ninja’ has a plethora of interesting textiles, both old and new. 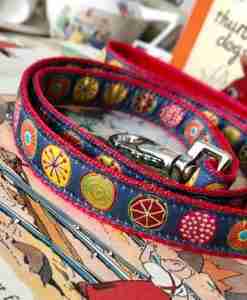 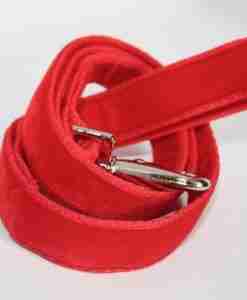 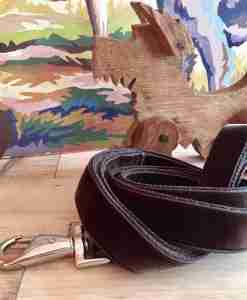 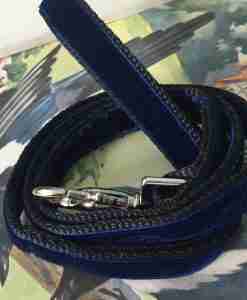 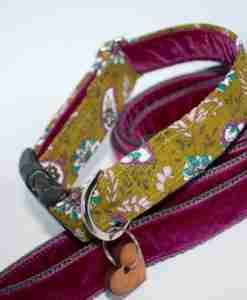 The Bertie dog collar I should also Lined with the blue velvet. 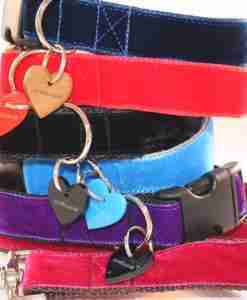 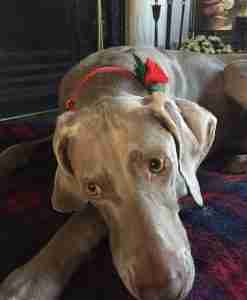 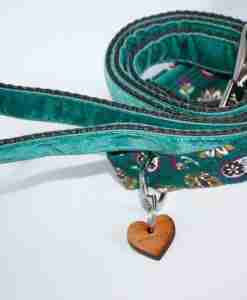 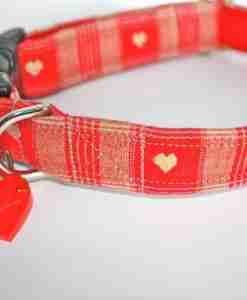 As with all of my Scrufts’ dog collars, a cherry wood heart shaped tag is the final ta-dah! 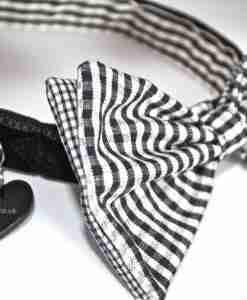 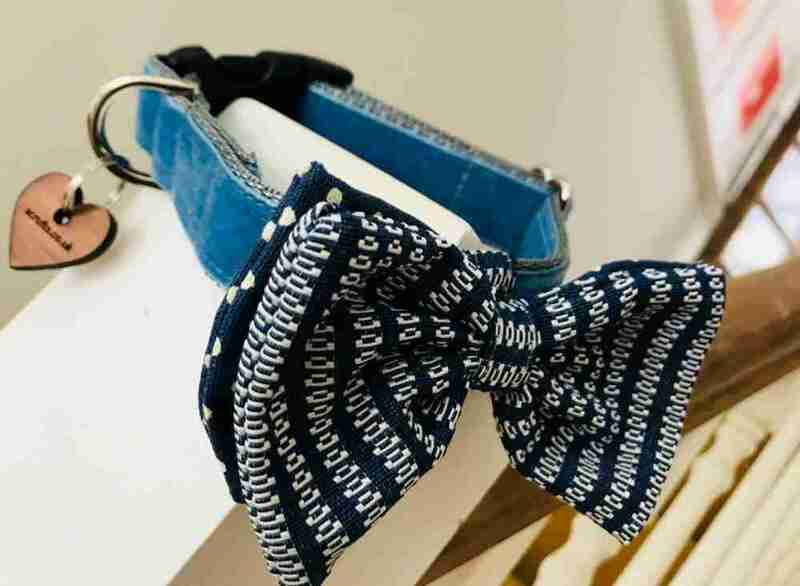 Your new Scrufts’ bow tie dog collar is made using strong polypropylene Webbing, Swiss Velvet, metal adjuster and dee ring and a hi-spec black nylon curved side release clasp.